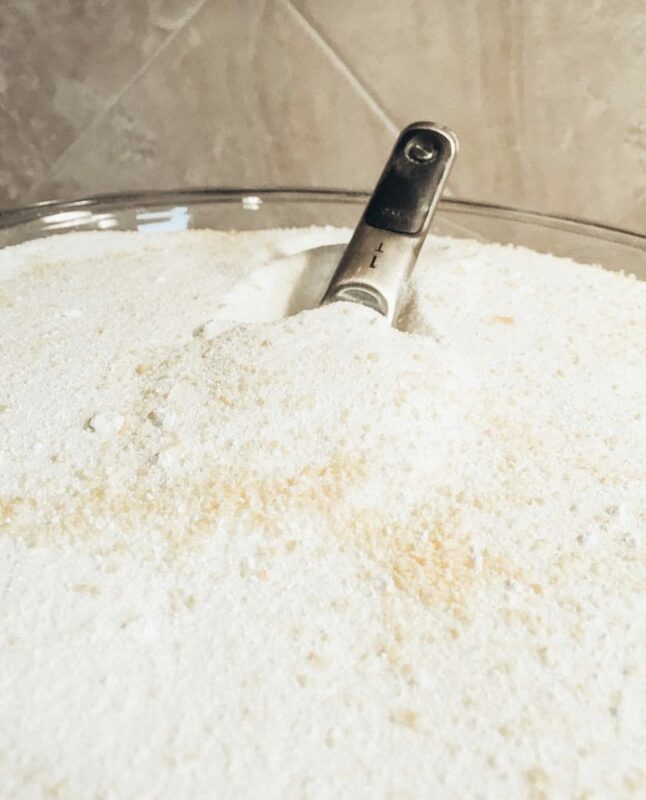 Several years ago, my mom found a recipe on Pinterest for a “do it yourself” laundry soap. Considering how pricey laundry soap has gotten, it was a no brainer to switch over to making our own laundry soap. This soap recipe is perfect for a large family, the penny-pincher, a college student…really anyone looking for an alternative laundry soap that is inexpensive AND free of dyes and fragrances! This stuff makes SO MUCH for dirt cheap. 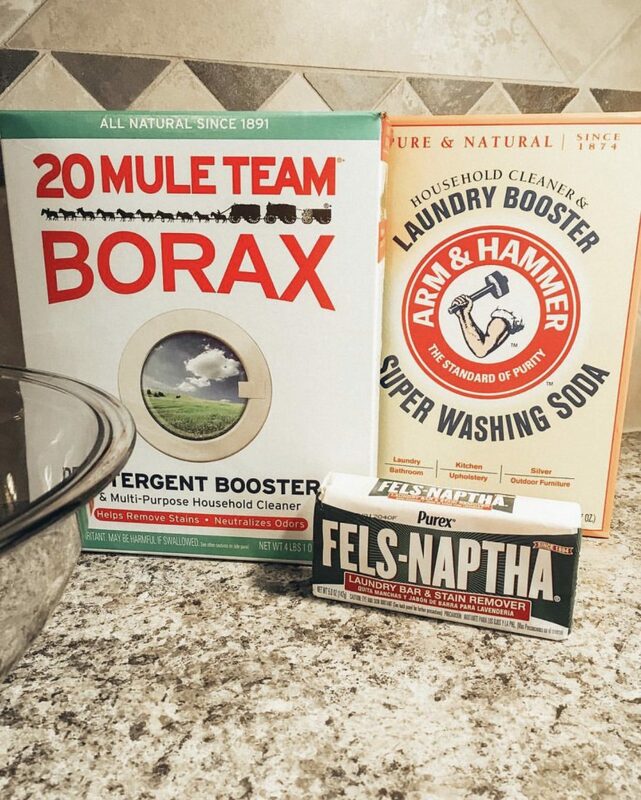 Directions: In a large bowl (4qt or larger), combine the boxes of 20-Mule Team Borax and Arm&Hammer Laundry Booster. Unwrap the bar of Fels-Naptha, then in another bowl grate the bar on the smallest holes of a cheese grater. Combine the grated soap with the first mixture. Makes 4 quarts. Store in an air-tight container. Does not expire. Optional: I have not done this, but many people have added drops of their favorite essential oil to the mixture to give it a fragrance since there’s little-to-none in this laundry soap mixture. Laundry Directions: For a normal sized load, I typically spoon out 2 tablespoons of the mixture per load, with warm to hot water to make sure the soap suds up in the water. 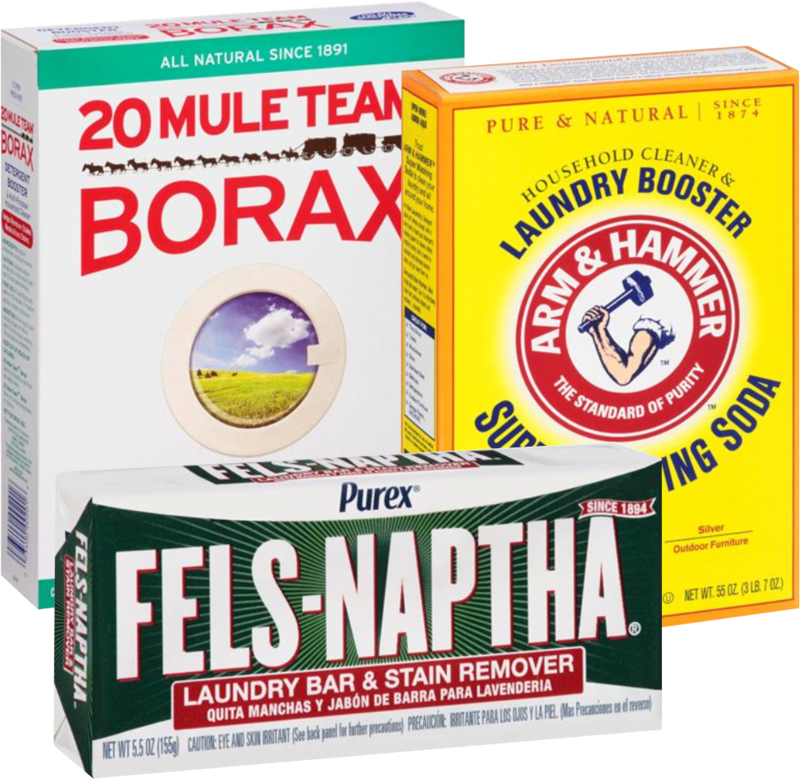 You can add a softener if you choose, I have not had to do so; but some people who use this like to use a laundry softener. If I’m doing the math correctly..
So…. 16 cups x 16 tablespoons = 256 tablespoons. If there are 256 tablespoons made per batch and you use 2 tablespoons of soap per load, that means one batch of soap is enough for approximately 128 loads of laundry at $0.08 per load (or just $0.04/load if you only use 1 tablespoon)! At $0.08/load of laundry for something that takes a little elbow grease to make and fragrance- and dye-free? Count me in!